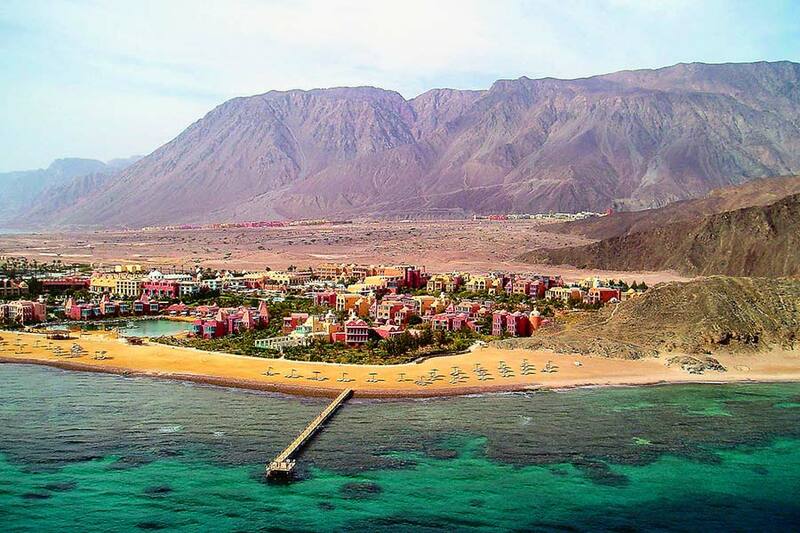 Explores both the underwater and dry-land attractions of the Red Sea resort of Taba Heights in Egypt. With its year-round sunshine, luxury hotels, sandy beaches and cooling sea breezes, the resort town of Taba Heights has everything to satisfy the devoted sun worshipper. And its location – close to the border with Israel, sandwiched between imposing peaks and coral reefs of the Red Sea, and with views across the Gulf of Aqaba to the mountains of Arabia – makes it a picturesque launching point for excursions to ancient attractions, dramatic canyons and underwater worlds. Civil unrest in Egypt has hit tourist confidence, and although the Foreign Office has never advised against travel to the Red Sea resorts – which are effectively isolated from the rest of the country – some hotels in Sharm el Sheikh, 125 miles down the coast, report occupancy rates of just 20 per cent. Things aren’t nearly as slack in Taba Heights, however, but tour operators are offering some excellent deals. So, for probably the best-value sun-and-sand holiday within five hours of the UK, head here in May, before the crowds return and temperatures soar. Or wait until October for the autumn and winter season deals.